The Moab edition JK Wrangler was one of my favorite special editions; I’m super excited Jeep decided to continue this as the first of what should be many JL special editions. The Moab starts as a Wrangler Sahara and adds a slew of goodies for a somewhat hefty price tag. I spotted three unlimited Moab’s at a local dealer; a Mojito, (yes this amazing green continues for the 2019 JLs!) a Bright White, and a Sting Gray. the Moab comes with rock sliders, the power dome hood, steel bumpers and the most aggressive tires you can get on a factory wrangler… BFG KM2s. In my opinion, the Moab is the second best Wrangler to a Rubicon… if you want a really capable rig off the show room floor… the Moab is no joke. The winch capable front bumper and the KM2 would run you a few thousands dollars aftermarket… and price wise the Moab isn’t that different than a Sahara with a color match top. Each of these have a sticker price in the mid 50’s… the sting gray had the dual top group, tow package, and heated seats for $56,580. 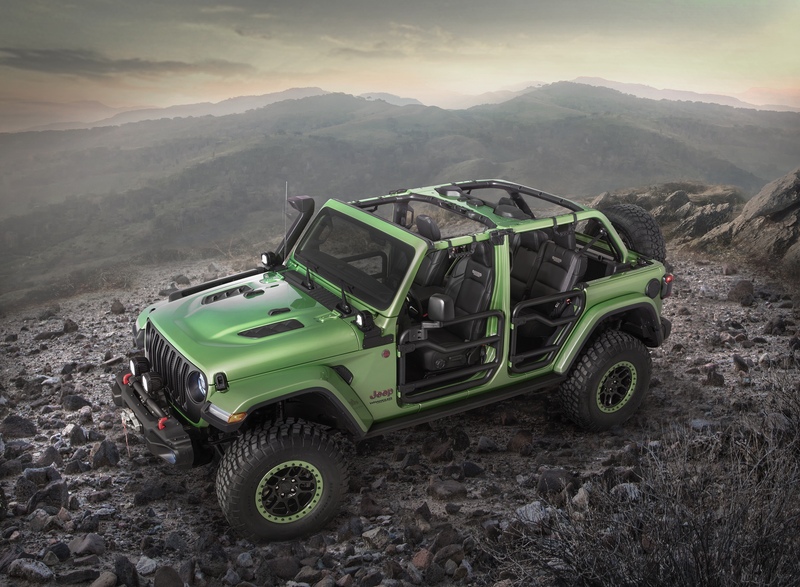 The 2019 Wrangler Moab is available as a four door only, like the Sahara it’s based on. The only downside to the Moab JL is that it is only available with an automatic transmission and the select track full time 4WD system. I would much rather have the regular part time transfer case than the full time unit… but it still does have a true low range so it’s not that bad I guess.